Ashlyn is a talented 15-year-old San Diegan who loves sketching, playing the ukulele, scuba diving and animals of every shape and size. She is unique from other teenagers in one respect. When Ashlyn came out in the 8th grade, she was met with unconditional love and acceptance from her parents and brother Hayden; not fear and bigotry. We know this is not the story for all LGBTQ youth. 1-in-4 LGBTQ teens are thrown out of their homes after coming out to their parents. 67% LGBTQ youth have unsupportive family members, and only 26% of LGBTQ youth report feeling feel safe at school. Luckily for Ashlyn, her parents were Shelley and Dave Burgess – two native Californians who are published authors with careers in education. They helped Ashlyn connect to other LGBTQ peers via San Diego Pride’s LGBTQ youth programming. 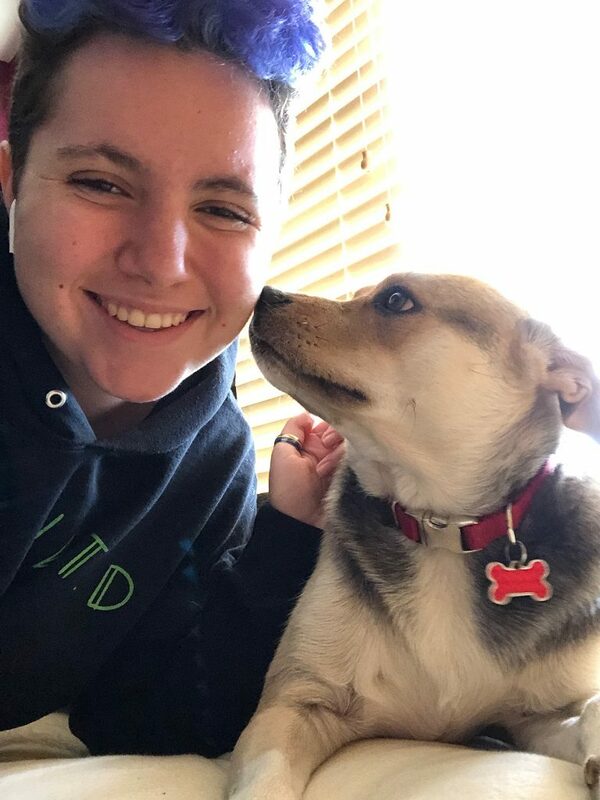 Ashlyn is now a high school sophomore, part of Pride’s Lunch Bunch, and steadily growing her confidence as an advocate for LGBTQ youth like herself. When Ashlyn found out that Pride was raising funds for their 2019 LGBTQ youth programming through Give OUT Day – the only national day of giving for the LGBTQ community – she approached her parents to get involved. Again, they responded with loving enthusiasm. 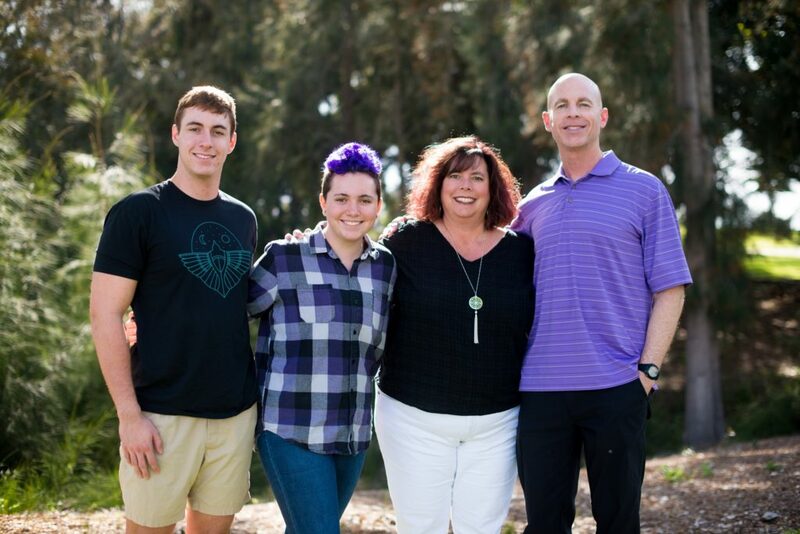 Dave and Shelley Burgess have pledged up to $10,000 to match all donations raised by San Diego Pride for their LGBTQ youth programming on April 18th’s Give OUT Day. If just 1,000 community members gave just $10 each, we can meet our goal of reaching the Burgess Family’s pledged match and continue to expand our support of LGBTQ youth in our region that don’t have families as supportive as Ashlyn’s. We hope you will join us in uplifting the next generation of LGBTQ youth. Just fill out the donation form to the amount you would like to pledge, and check that your “Charge Date” is pre-set to April 18! Thank you for your support! Pictured from Left to Right: The Burgess Family: Hayden, Ashlyn, Shelley, Dave. San Diego, April 2019. 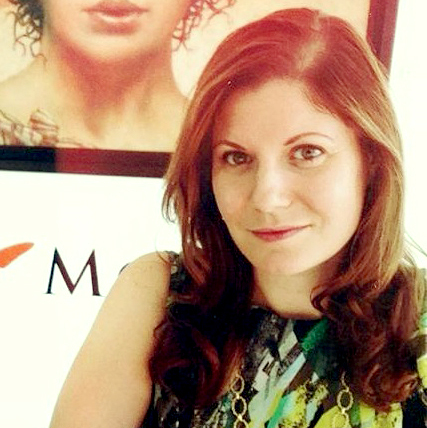 Sarafina Scapicchio is a queer femme who brings over a decade of fundraising expertise to her role as the Director of Philanthropy at San Diego LGBT Pride. Working with individuals, corporations, elected officials, and community stake holders, she has successfully secured millions of dollars in support for nonprofits on both coasts, including: The San Diego LGBT Community Center, Girl Scouts San Diego, Boston Lyric Opera, and Community Servings.